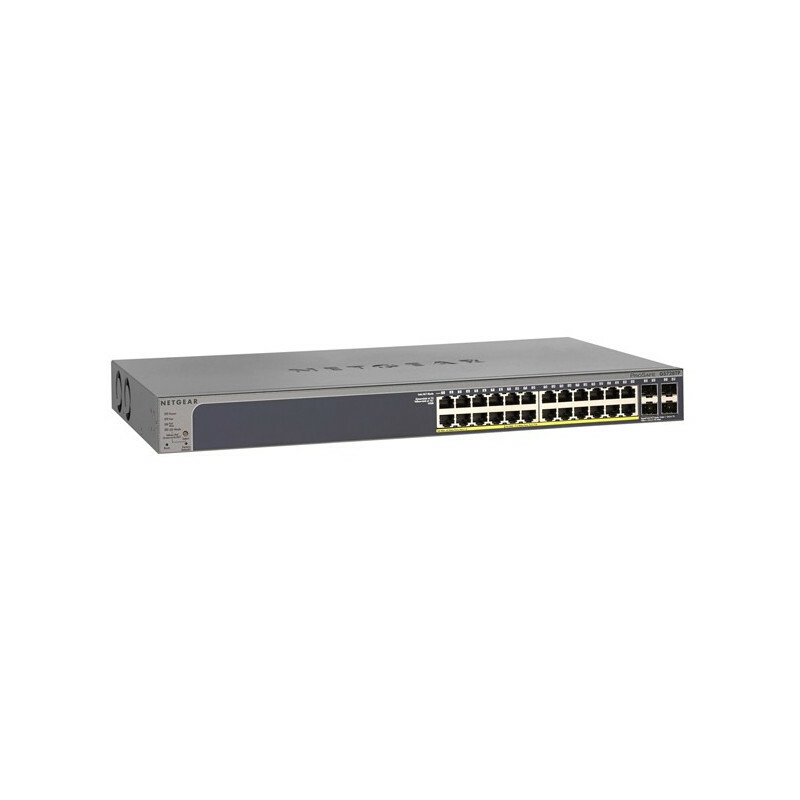 ProSafe 24-port 10/100/1000 Smart Switch with 24 PoE ports, 8/24 PoE+ ports. By buying this product you can collect up to 47 loyalty points. Your cart will total 47 points that can be converted into a voucher of CAD$4.70. 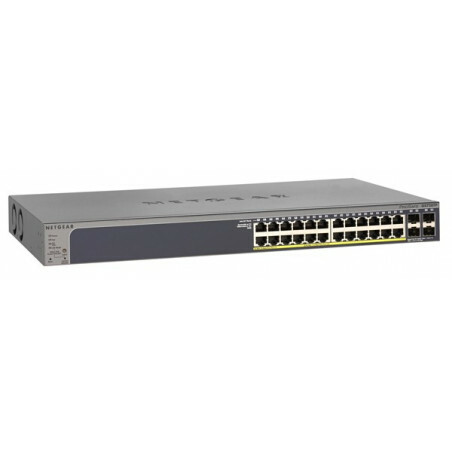 ProSafe 24-port 10/100/1000 Smart Switch with 24 PoE ports, 8/24 PoE+ ports, + 4 combo Gigabit copper/SFP slots. • Resource CD with links to online documentation, installation guides, Web-management user manual, Smart Control CenterSCC) soft ware and user guide.